Get notified when The Audience tickets are available! The Audience is a German-based, post-punk band. They released their first album in 2007, “Celluloid,” on Hazelwood, a German label. The Audience describes themselves as a mix of rock, garage, new wave and punk styles. Bernd Pflaum is the lead singer and his band supports his vocals with a unique blend of sounds including an organ. Band members include Michael Arnold, Johannes Preiss, Sebastian Wild and Florian Helleken. 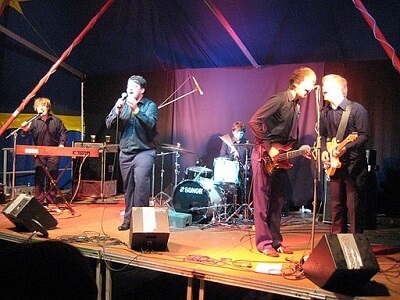 The Audience won the Tremplin band contest during the Eurekeennes Festival in 2007 and was deemed a promising new band. Get yourself ready to see this band by snagging The Audience tickets now.